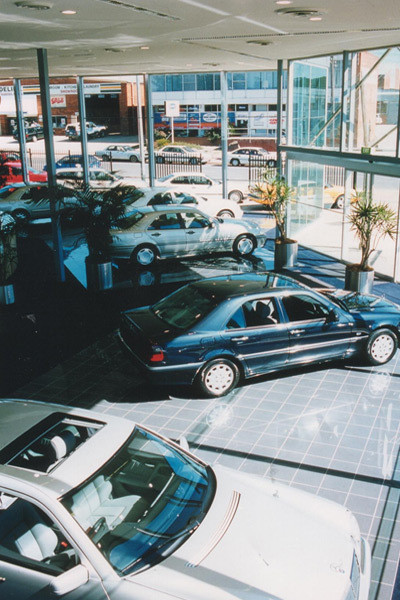 This project involved the construction of a new showroom for Mercedes Benz. 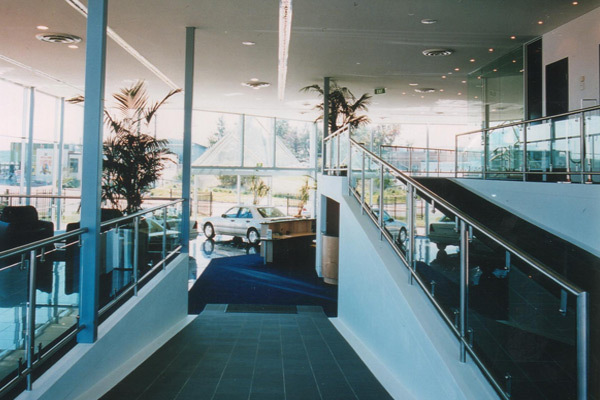 This showroom incorporated a café, large scale glazing and a mezzanine office level. A service facility was also included within the building, a main feature of which was the full tiled flooring. Winner of MBA Excellence in Building for Commercial Building less than $2 million.